While rival clubs overseeing an exchange of players is not uncommon, it is certainly a sight that is viewed with some interest, especially when title contenders are amongst the names being discussed. The moves of Matic and Mata from Chelsea to Manchester, the Mkhitaryan-Sanchez swap saga, Van Persie joining United, Welbeck going the other way, and several others are more recent cases of such exchanges occurring. Carlos Tevez to Manchester City was the first instance of business being done between the Mancunian rivals, but clearly, the London clubs have been more hospitable when it comes to transfers. And now, another player could join that list. The 29-year-old midfielder will become a free agent on July 1, when his current deal with United expires. He has been linked with a host of names in the past months, when it became increasingly evident that he wouldn’t renew his contract at Old Trafford, with unhappiness over the wages he was offered being reported as the reason. 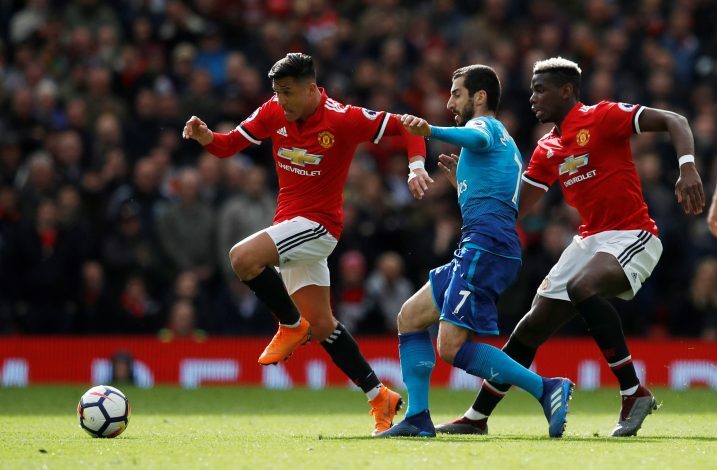 If Arsenal do manage to sign him, it will be a great piece of business, as Fellaini being a free agent will mean that their conservative transfer budget won’t be dented heavily by transfer fees. Fellaini was the first big signing of the David Moyes era, having followed the gaffer from Everton in 2013 for £29.1 million. Since then, the Belgian has managed to carve a place for himself in the squads of both Louis Van Gaal and Jose Mourinho, scoring 20 goals and assisting 10 more in 156 appearances, many of them coming at crucial points. His style is one that United supporters have grown to admire, and Mourinho has openly stated that he tried to renew Fellaini’s contract due to the manner in which he functioned. Will Arsenal prove successful in signing him?